Batam and its neigbouring islands can be found at around 30km south of Singapore. Since the 1970s, these areas have generated interest with a US$20 billion investment among private investors as the government continues to promote the islands as the future economic hub. But, with competition from Singapore and Johor can she succeed? With Indonesia’s US$60 billion (S$81 billion) new investment, it plans to convert its Batam island as an optional shipping and manufacturing hub to potentially provide a close competition with Singapore. In another bold move, the Indonesian government seeks to increase business operations in the area. The authorities will be transforming about 8,000 hectares of underutilized or seized lands to provide better venues for exporters or import producers. In an interview, Edy Putra Irawady noted the Indonesian trade zone department will be developing islets in Batam’s special economic zones where some clusters are built for tourism and logistics infrastructure, among others. Irawady is the acting head of Batam Indonesia Free Trade Zone Authority. He shared a rough calculation that the pipeline investments are at around US$60 billion. In 2007, the region is recognized as a free-trade zone. Ever since the area has brought thousands of local and global companies selected as the best location for the production of various goods such as computers and oil rigs. 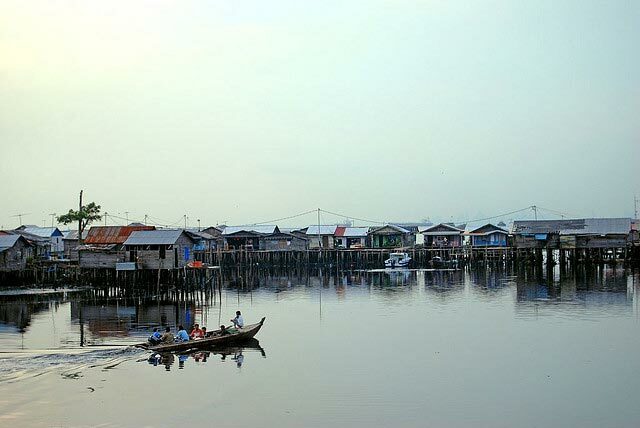 Generally, the Batam free-trade zone has eight islands with a total of 71,500 hectares. Over the years, it has played a vital role as an investment destination for foreign firms, like Singaporean companies. With its strategic location, it has become one of the busiest shipping destinations because of reduced labour costs and tax breaks. Firms found within the free-trade area are exempted from paying value-added and luxury taxes, including import duties. For President Joko Widodo’s governance, this trade zone is crucial in boosting the country’s exports to minimize the increasing current-account deficit. It is considered a major risk factor for the economy and one of the reasons many investors have sold the currency during the market sell-off in the previous year. Airlangga Hartarto, the country’s industry minister, cited the islands are good options for firms seeking for relocation for their industrial factories amid the U.S.-China trade war that impacted many global supply chains. Earlier, Taiwan’s Pegatron Corp. has already sealed a partnership with local electronics manufacturer PT Sat Nusapersada. Hartarto cited Apple Inc. seeks to launch a new developer academy in Batam. However, several reports and critics claimed that Batam investments since the 1970s are way too far from achieving the prowess of Singapore’s maritime trade. Like in the case of Tanjong Pelapas in Johor Bahru, Malaysia, for instance, it has yet to build a more reliable infrastructure to attract more investors to use the port as a transport channel of their goods. Batam as an alternative to Tuas, seems like a far cry, but with rising maritime tensions in the Straits of Johor, it won’t hurt us to have strategic partner down south.